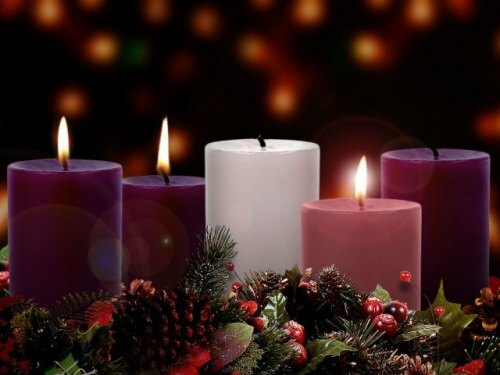 Today is the third Sunday of Advent. It is traditionally called “Gaudete Sunday.” Gaudete is Latin for rejoice! And we mark the semi-festive tone of the day by lighting a pink candle on the Advent wreath, instead of a purple one. Some parishes go so far as to have the celebrant vest in pink vestments. (Thankfully this parish doesn’t own pink vestments!) Likewise, the appointed Bible readings for this Sunday are supposed to be markedly less gloomy than on the other Sundays of Advent. Too bad no one informed St. Luke! 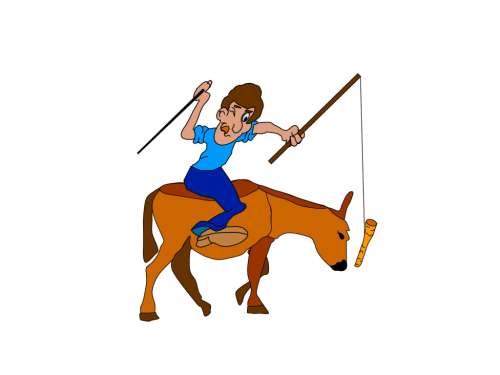 Most of you are familiar with the old saying that if you want to get a donkey to move you need a carrot and a stick. The carrot is dangled in front of the donkey to entice it forward. The stick is used to threaten it from behind. I sometimes think that is how God deals with us sinners. The first two readings today are the carrot. The reading from Luke’s Gospel, containing the threats of John the Baptist, is the stick. Since I would like to end this sermon on a happy note. I’m going to start out with the stick.